We had the great opportunity to shoot for the BJ’s Member Journal recently. Working with their creative team and many different talented stylists over the course of multiple days was a fun time. The variety of the sets and shots are one of the great parts of shooting for them, as well as seeing some familiar faces. 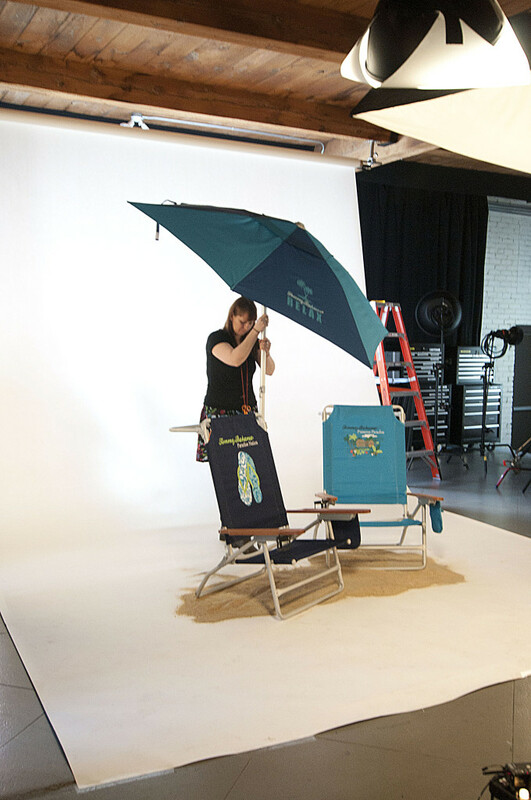 Always relaxed and calm, Sara Mills-Broffman stakes her spot on the beach set, for the next shot. 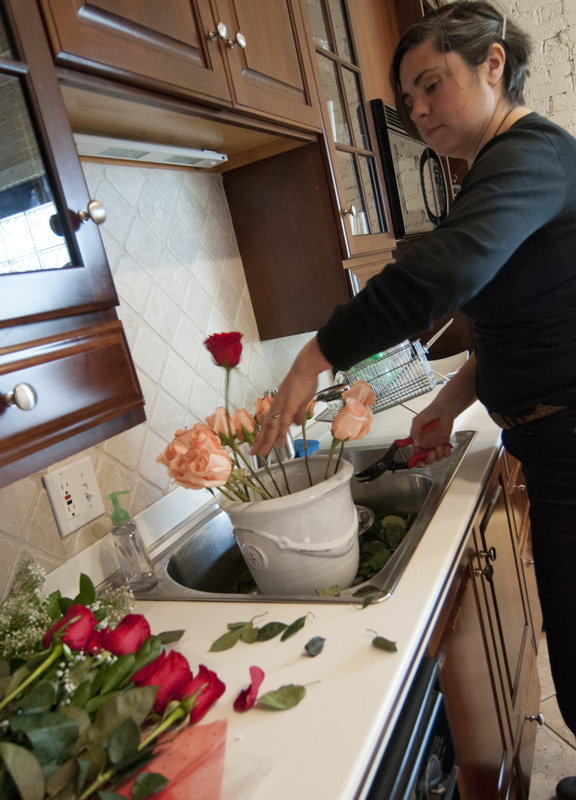 Prop stylist turned florist, Caroline Woodward trims the stems of these beautiful roses. 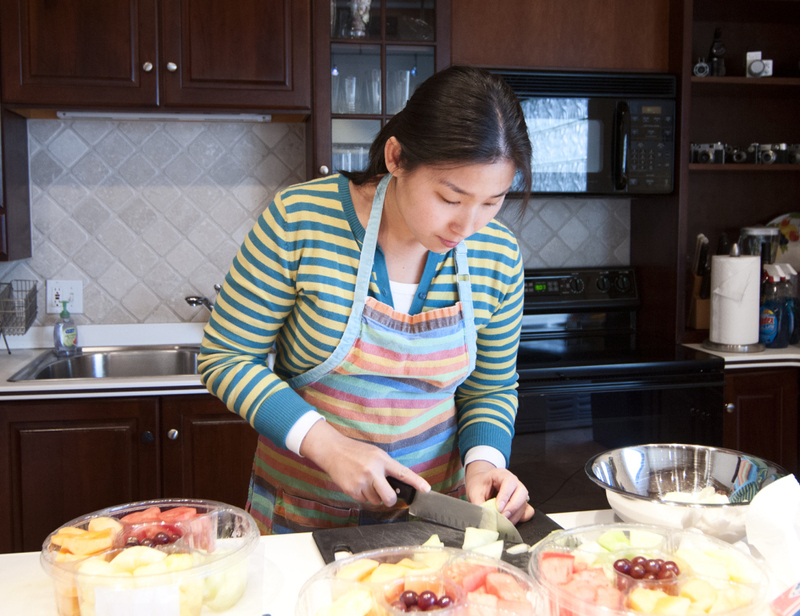 Food stylist Sunny Ricks sorts through and cuts up the best pieces of fruit for an attractive and appetizing looking platter. Multi-talented stylist and hair/make-up artist, Courtney Kilmartin keeps a watchful eye on the models skin under the studio lights. 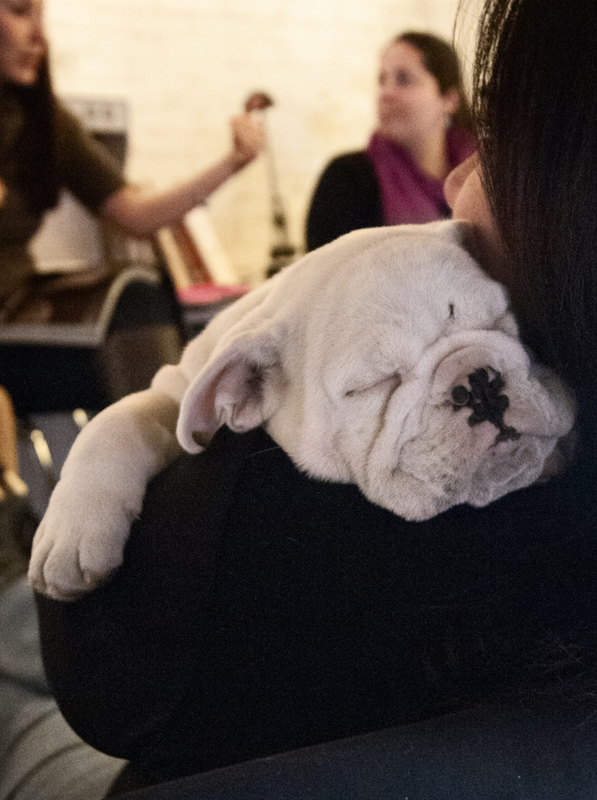 The guest of honor, Lulu, blissfully takes a nap in Loretta’s arms.